A backpacking stove is very useful for long trips because it allows you to quickly boil water, prepare hot drinks and warm food such as pasta and dehydrated meals. Furthermore, in winter you can use it to melt snow which allows you to carry less water in your backpack. 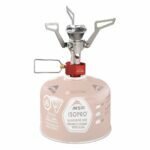 Since modern backpacking stoves are super light, they have become very popular among backpackers, mountaineers and hikers. Many also bring a backpacking stove on shorter trips to avoid overpriced food in mountain huts. Portable stoves differ in type, weight and efficiency and thus many backpackers get perplexed when faced with the task of purchasing one. Below we selected the best backpacking stoves to make you buying decision a little easier. We only listed high-quality products that are lightweight, efficient and very durable. If you plan to use a backpacking stove to prepare food, also check out our article How to choose food for hiking, where we took a more scientific approach to backpacking food and discussed terms such as caloric density, absorption time and thermal resistance. 1. Buying a Backpacking Stove – What is important? There are three types of backpacking stoves available; canister stoves, liquid-fuel stoves and alternative-fuel stoves. Canister stoves run on isobutane-propane and are most common because they are super light and easy to use. Many models come with an integrated canister (see the table below), meaning that you twist the canister on before cooking while other models are connected to the canister with a fuel hose; such stoves are often called remote canister stoves. Remote canister stoves usually have wider arms and thus fit larger pots. Nevertheless, canister stoves are best for one to two persons. After you drain the canister, you simply replace it. Liquid-fuel stoves run on very efficient white gas which is stored in refillable fuel bottles. The fuel bottle is connected to the stove with a hose. Liquid-fuel stoves are suitable for larger groups because they typically fit larger pots. They are also perfect for very cold conditions and high altitudes. However, they tend to be heavier then canister stoves and more expensive. Alternative-fuel stoves run on wood or alcohol and are mostly used by ultralight backpackers. They are not very efficient and therefore they are only suitable for boiling water. They also require more skills then other types of portable stoves. Small and light portable stoves are easier to pack and carry and thus we recommend buying the smallest and the lightest stove that still fulfills your needs. In this review we only listed efficient lightweight backpacking stoves. 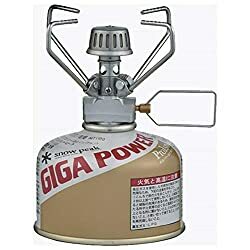 Note that the weight of the canister is never included in the weight of the stove because canisters are available in different sizes (typically 4 ounces, 8 ounces and 16 ounces). Canister stoves typically have a burn time of around one hour (with a standard 4-oz canister) while liquid-fuel stoves have a somewhat longer burn time. For example, a liquid-fuel stove will run for around two hours on a fuel bottle with the capacity of 600 milliliters. Such a fuel bottle weighs merely four ounces. Many manufacturers do not disclose burn times for their stoves. The average boil time can help you choose between different models – the lower the average boil time per liter (or other fixed quantity) of water, the more efficient is the stove. Many canister stoves have a piezo igniter which allows you to turn on the stove by pressing a button. It’s a handy feature, if your matches or lighter get wet or lost. The MSR WindBurner Stove is very popular among backpackers and mountaineers because it is very reliable and easy to use. This MSR stove also works great in very windy and cold conditions. It comes with an insulated 1-liter pot which must be attached to the stove before cooking (twist-on system). Because the pot is attached to the stove, it shields the stove from the wind. 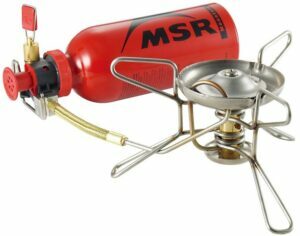 The MSR WindBurner Stove also comes with legs for the canister, so that it doesn’t turn over accidently. It is compatible with 4 oz. and 8 oz. canisters and boils one liter of water in approximately four minutes and a half. The flame can be adjusted for simmering. MSR also offers Duo and Group pots for this stove. The Duo pot has a capacity of 1.8 liters while the Group pot has a capacity of 2.5 liters. 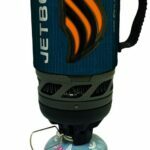 The Jetboil Flash portable stove is another great option for backpackers and mountaineers. It is an integrated canister stove like the MSR WindBurner mentioned above. However, it is more efficient than the MSR stove. It boils one liter of water in only 100 seconds. The disadvantage of this stove is that it doesn’t have a fuel regulator and is thus not suitable for simmering. The stove comes with legs for the fuel canister and a 1-liter twist-on pot. 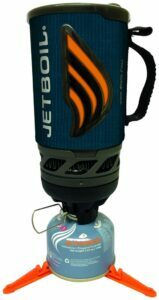 However, Jetboil also offers many other accessories for this stove such as a 1.5-liter cooking pot, fry pan, coffee press and hanging kit. The Jetboil Flash stove provides great performance in windy conditions and is equipped with piezo-igniter – you turn it on by pressing a button and therefore you do not need a lighter or matches. 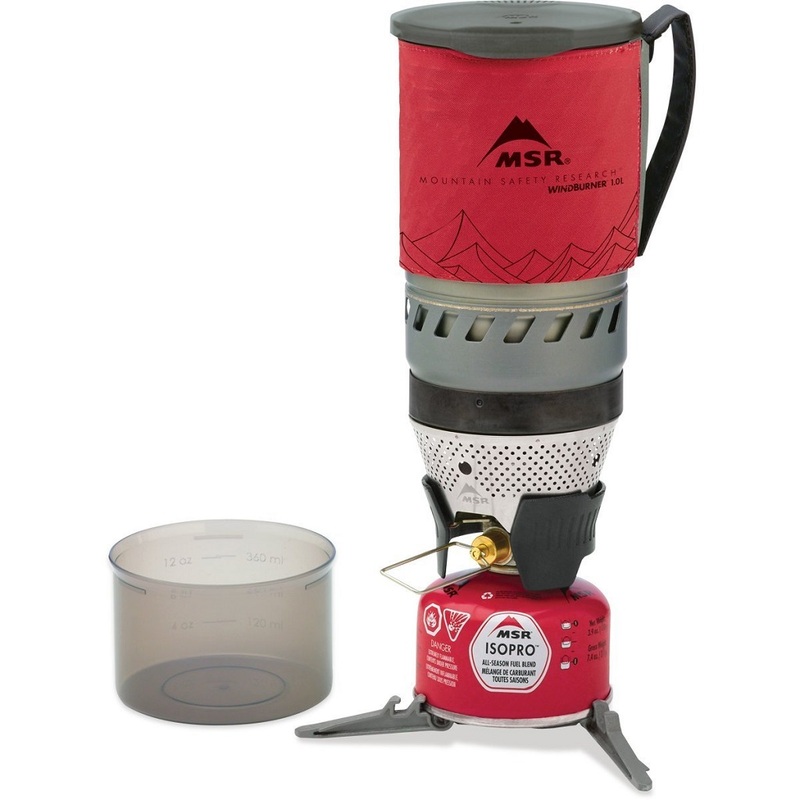 The MSR PockerRocket 2 stove is very small and super light – it weighs merely 3.7 ounces. Unlike the stoves mentioned above, it does not come with a pot. However, MSR recommends using the stove with the ultralight MSR Titan pot. The Titan pot has a capacity of 0.85 liters and weighs only 4 ounces. 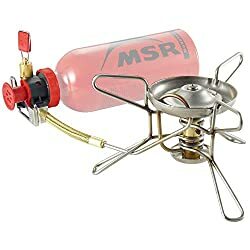 The MSR PockerRocket 2 backpacking stove can be used with 4-oz, 8-oz or 16-oz canisters and boils 1 liter of water in 3.5 minutes. It is also equipped with flame regulator and thus it is perfect for cooking meals. This MSR backpacking stove features WindClip technology for a persistent and solid flame in windy conditions. 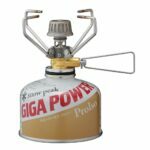 The Snow Peak GigaPower 2.0 backpacking stove is, due to its small size and low weight, perfect for those who prefer lightweight backpacking. Nevertheless, the Snow Peak stove has a very robust construction and is compatible with 4-oz, 8-oz and 16-oz canisters. It boils a liter of water in a little less than five minutes and has a flame regulator. Therefore, it can be easily used for cooking meals such as pasta. While the Snow Peak GigaPower 2.0 stove does not come with a pot, the brand offers many different lightweight pots for backpacking and other outdoor activities. The MSR WhisperLite Stove is unlike the backpacking stoves above, a liquid-fuel stove which means that it runs on very efficient white gas instead of isobutane-propane. Therefore, it is suitable for larger groups and backpacking at high altitudes. 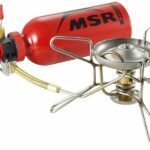 The stove has a burn time of 136 minutes with the 600-milliliter fuel bottle, but MSR also offers 400-milliliter and 900-milliliter fuel bottles. The fuel bottles are super light – the 900-milliliter fuel bottle weighs merely 5.6 ounces. 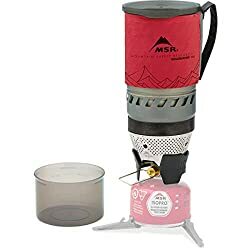 The MSR WhisperLite Stove is best for larger groups and those who already have some experience with backpacking stoves since the hose must be attached to the fuel bottle and the stove. What is white gas for stoves? Liquid-fuel stoves run on white gas which burns clean without any smell. White gas is very light – a bottle with the capacity of 600 milliliters weighs merely four ounces. Therefore liquid-fuel stoves are especially popular among lightweight backpackers and hikers. They are also perfect for high altitudes because white gas works at very high altitudes where oxygen levels are low.